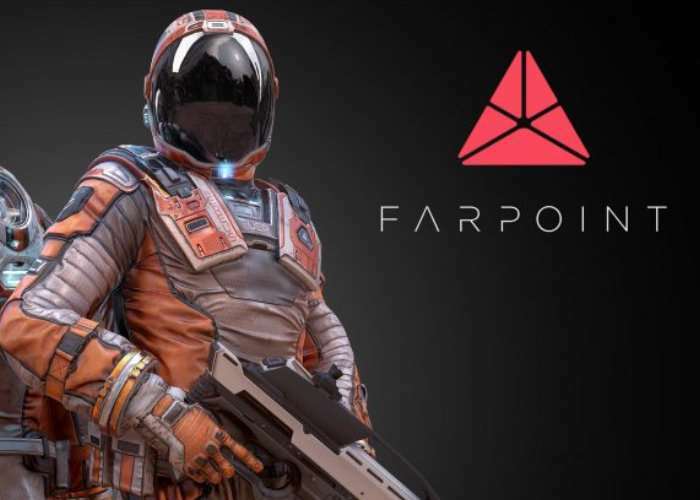 PlayStation VR hardware owners looking for a new game to immerse themselves in are sure to be interested to know that developer Impulse Gear will be launching their new and highly anticipated Farpoint game on May 17th, 2017. Farpoint is set on a distant planet offering a hostile world to explore with your only chance of survival and escape being to uncover its secrets and reunite with your team. More shocking than an alien spider jumping at your face, I’m happy to reveal Farpoint co-op! The undiscovered planet in Farpoint is unpredictable and dangerous, but no longer does it have to be a solitary experience. You and a friend can explore the planet together in cooperative levels. In addition to the full single-player campaign, sharing the virtual world of Farpoint in co-op has been a key objective of the project from the beginning. Farpoint features four new online co-op levels at launch — each level designed to challenge the combined firepower of two players with teams competing for the highest score. To help players meet the challenge of Farpoint, we have been working with PlayStation to develop the PS VR Aim controller which simulates the look and feel of a weapon in your hands right down to the virtual scope and built in haptic feedback.